A stone cold classic of the early ‘80s interzone between what we now call post-industrial and proto-techno styles. It’s perhaps most notably hailed as one of the first ever recordings to combine Roland’s 303 and 808 boxes in its album highlight, Dancing Ghosts, and still sounds entirely, remarkably future-proofed a whole generation down the line. 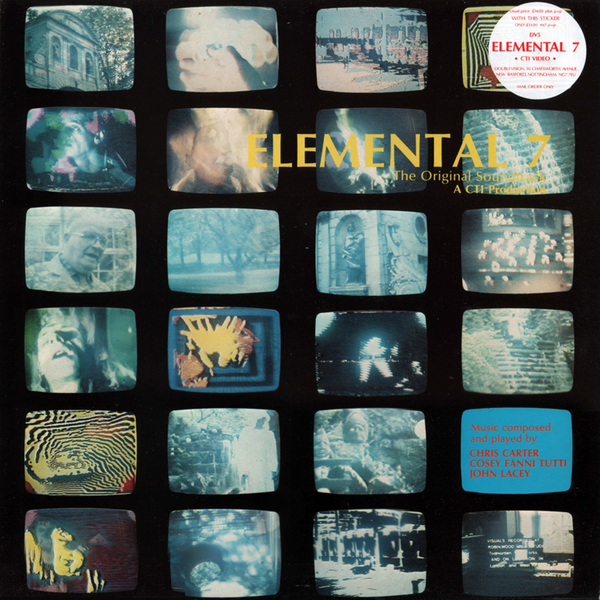 Recorded in 1982, completed in ’83, Elemental 7 marked a decisive move away from the sensual synth-pop of Chris & Cosey - itself a break with the bitterest ends of their previous group, Throbbing Gristle - to a blend of abstract, synthesised atmospheres and needlepoint rhythm programming joined by processed vocals, Cornet and a mass of self-built electronic instruments. Nowadays, with reams of recordings from the early ‘80s now back in circulation, it’s perhaps easier than ever to hear the contrast between CTI’s sound and what they did before it, and how incomparable it was to practically everything else, especially in terms of CTI’s approach to clarity and emulated space, and particularly so as they worked outside of the usual big studio system, instead helming to DIY principles which have served them richly to date with little or no expense to fidelity. As the soundtrack to a video work, Elemental 7 also found Chris & Cosey reprising their multimedia praxis with John Lacey, who previously worked with Cosey in COUM Transmissions, before that unit bifurcated and morphed into Throbbing Gristle. The album's sounds and arrangements, oscillating between breathtakingly immersive ambient architecture and inimitably tight electro-techno templates, are sensitive to synaesthetics and course with an amorphous nature and sensuality which simply didn’t exist before they brought these sound to life in this manner. Elemental 7 has cast a looming shadow of influence over almost all electronic music since it was made, so it almost goes without saying that it’s essential, historic listening.